Over 3.5 hours of instruction on Propellerheads new audio recording software Record – by Morgan Pottruff aka Morg (author of the Live Reason and Melodyne Tutorial DVDs). Record gives you unlimited audio tracks world class effects and mixing gear and a whole new take on music recording. This is recording done right and we want to make sure you have the knowledge to get the most out of this great piece of software. 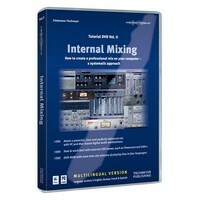 Practical strategies for using computers to mix your music – Internal Mixing is aimed at all harddisk recording program users (Pro Tools Cubase Logic Sonar etc) who do their mixing mainly with their computers. You need more than a wide selection of plug-ins for a professional sounding mix! 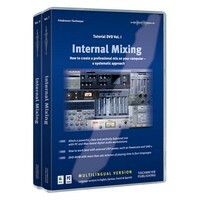 Internal Mixing provides practical strategies for using computers to make powerful clear and perfectly balanced mixes and shows how to create them without expensive outboard equipment. The DVD includes English French Spanish and German soundtracks.